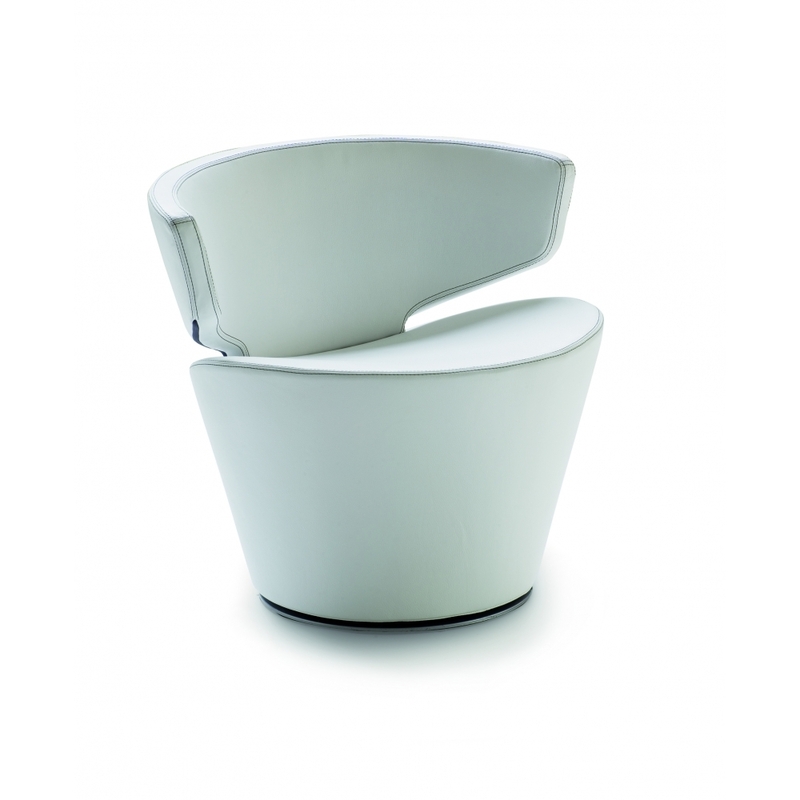 Designed by Carlo Bimbi as a cosy and comfortable armchair. The swivel base is varnished in aluminium colour and the frame padding in cold expanded polyurethane. On request, stitching and zips can be done in a contrast colour.